The New York Post offers an editorial about how someone at the Democratic National Convention finally took a tough stand against ISIS and he was booed. 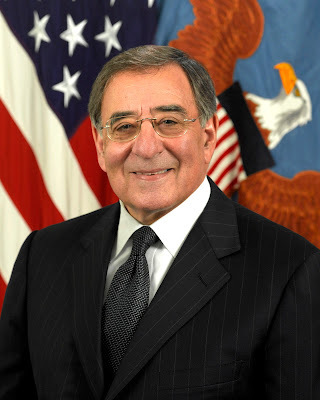 “These murderers must be stopped,” declared former Secretary of Defense and CIA Director Leon Panetta (seen above in his DoD photo). Cue the deafening chorus of boos, plus chants of “No more war!” from convention delegates. People who oppose action against ISIS should start studying Arabic, reading the Quran, and writing their wills.